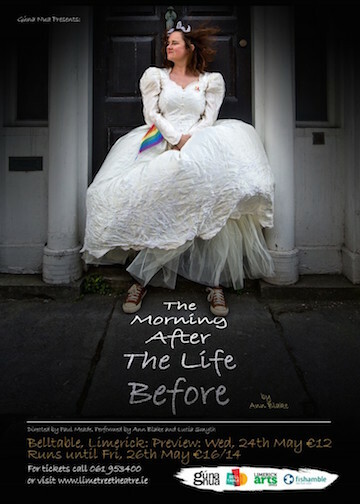 Gúna Nua has been proud to present The Morning After The life Before by Ann Blake. It played in Belltable, Limerick May 24th – 26th, Friar’s Gate, Kilmallock May 27th, the London Ontario Fringe Festival’s The Arts Project June 2nd – 8th, and in Festival St. Ambroise Montreal’s Black Theatre Workshop Studio on June 11th – 17th. The proud winner of Outstanding Production at the London Ontario Fringe and of Best Enlgish Language Production at Montreal Fringe.